"Sharon was the voice artist for the audio version of my novel, A Greater World. This was my first venture into audio books and Sharon showed great patience in dealing with all my requests. She turned around the recordings quickly and dealt with any corrections I needed, quickly and accurately. Flinging herself into the task she delivered what is a demanding story with multiple characters and several different accents - both regional British and Australian, all with aplomb. She was always cheerful and willing and was an absolute pleasure to work with." "Excellent service, very fast turnaround. Thank you." "Top notch once again - super fast delivery & good clear speech. Excellent. This is an incredibly reliable and consistently good artist. I have used her several times & will continue to use." 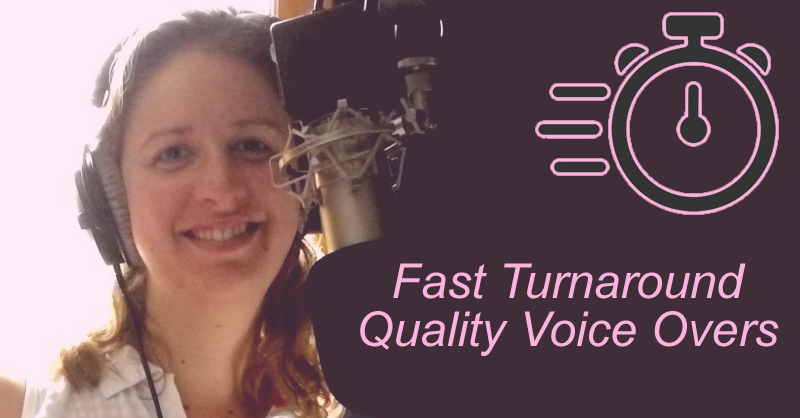 "Great first time as well, very professional voiceover thanks will be back again." "I have found that I can give Sharon a job and she knows how best to interpret the material that is being recorded. Some of my projects will end up being presentations that politicians see which means that the recordings have to be pro. GREAT JOB on this last order. Thanks Sharon :-)"
"Wow, Wow, Bloody Great!!!!!! Sharon is one of my favourite reader/presenters. I thought about calling her "Boomerang" because her delivery times are fast and way ahead of schedule but I think "Slot Machine" would be better because her pitch style is always on the money. Many thanks"
"Awesome. Quick and exactly what I was looking for!" "Thanks so much for your amazing voice overs. You are fantastic." "Sharon! Thanks so much! You did an excellent read!" "Many thanks!! It sounds really good... thanks for your help!" "They LOVE it! Thanks SO much." "Sharon had a great voice and a great personality for the work we had her do. Despite major time zone difference she had it done promptly and with some additional edits/ outtakes"